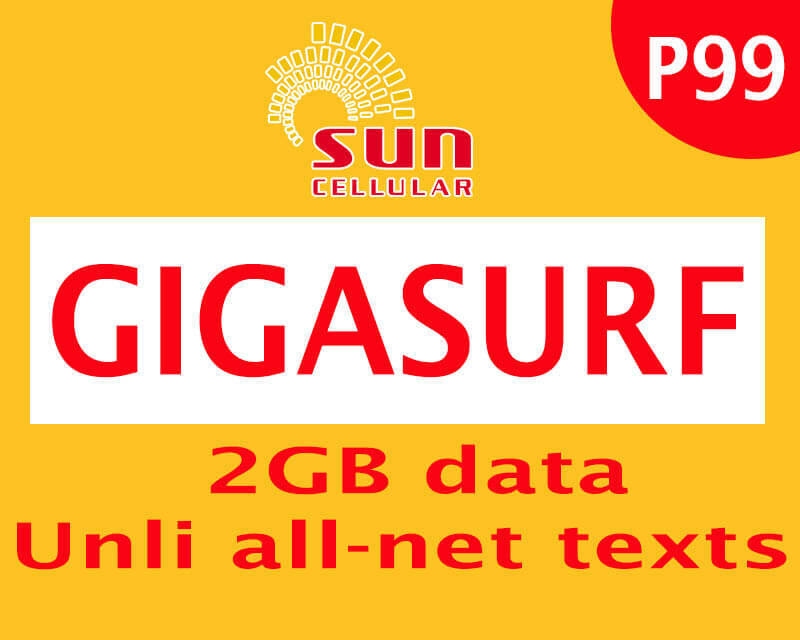 Sun Cellular gives a more data allocation to those who wants to download file larger that 1GB with the new GIGASURF 99 promo. This is the right offer if you have something to do online that needs more data like updating your mobile applications, downloading games, streaming live videos and other data intensive activities. It gives you 2GB of data consumable for 7 days plus the unlimited text to all networks for only 99 pesos. With the given bandwidth allocation, you can use it to access your favorite apps (e.g. FB, Twitter, Instagram, etc. ), browse websites, open your emails and even make video calls with your love ones abroad. You use this promo to any active Sun prepaid SIM card nationwide. Just reload your account with the needed amount which is 99 pesos at your nearest loading station, load retailer and kiosks. Also available in Sun GIGA50 denomination with 3 days internet access with 1GB + 300MB for YouTube for only 50 pesos. No need for P1.00 maintaining balance while you are subscribed to this offer. Just make sure you received the SMS confirmation from Sun Cellular before you start using this promo.